I have spent many weekend nights in the last three years playing Rock Band 3 with friends. Somehow, my gatherings always degenerate into nights of karaoke and rocking out. When Rock Band 4 was announced, I could hardly contain my excitement. One can only sing Smash Mouth so many times before they long for some new tunes. With the stunning news that I wouldn’t even have to wait that long to get my hands on the next installment, it’s here. Rock Band 4. I will say up front that I am unable to comment on the quality or capabilities of the new instruments. I found Rock Band 4 difficult to review. 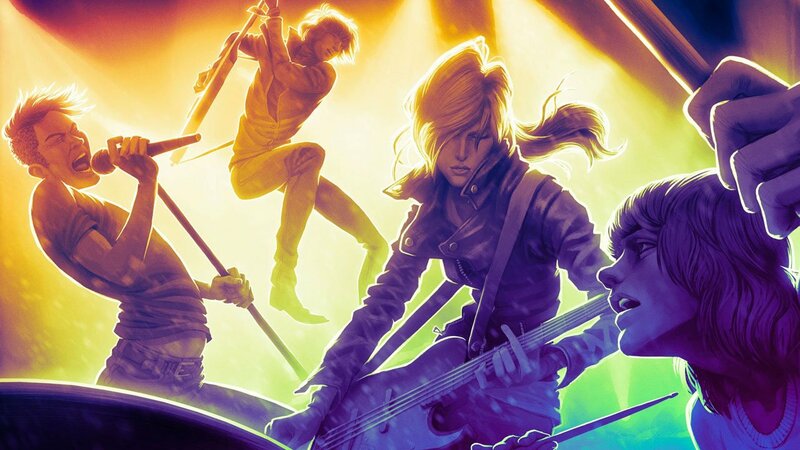 I love Rock Band and there really isn’t anything wrong with Rock Band 4, yet there is nothing groundbreakingly new introduced to the series at this point in time, either. The new freestyle guitar solos are a different take on an old trick, and although not what people would call series evolving, it is refreshing to see something a little offbeat. 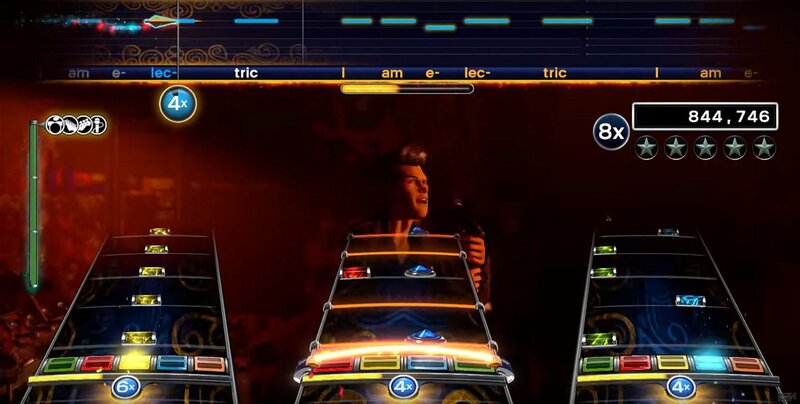 The new freestyle mode will sometimes ask players to strum at a particular speed. Other times, players can just let loose. The revamped Tour mode is also a small dose of something new. The choices you make along your tour can affect what happens to your band both during and at the end of the tour. I opted for a crappy van and all my band’s stuff was stolen. They really shouldn’t let me make decisions. By far the biggest difference I noticed was the adjustment to the vocals. I, being the limelight-hogging rock star, am the lead singer of my band. I do enjoy drumming as well but I tend to have the grace of Animal from The Muppets. In previous Rock Band titles, I was unable to sing many male vocal-driven songs. I just couldn’t hit those low notes and matching them in my pitch never registered with Rock Band. This limited the number of songs I could sing by almost half of our library. Now, with the improved vocals, I can thrash with the best of them, spilling out Deftones and System of a Down. And as a vocalist, my absolute favourite part of this whole experience, was hearing the crowd sing along with me. Also, let it be known that the tambourine—which I thought had been eliminated and sent to the fire pits of the afterlife—seems to still be alive, although only holding on by a string. It may not be as rampant as it has been in previous installments but, yes, the tambourine is still around. It was not patched out of all your favourite DLC songs. Sure, I wasn’t thrilled with the set list included on the disc, but hey, who cares? I can just download some of my old songs ‘till new tunes I like are available in the store. That is the absolute best part about Rock Band 4 is its backward capability. Not only was I able to download most of my previously purchased songs from the PS3 versions, but I didn’t have to purchase new instruments of any kind. Upon purchasing just the disc, I was able to take my old, dusty PS3 guitars and drum kit out of storage and sync them to my PlayStation 4. This is obviously a leg up on the competition for any returning rock star, possibly saving them a bundle of money. 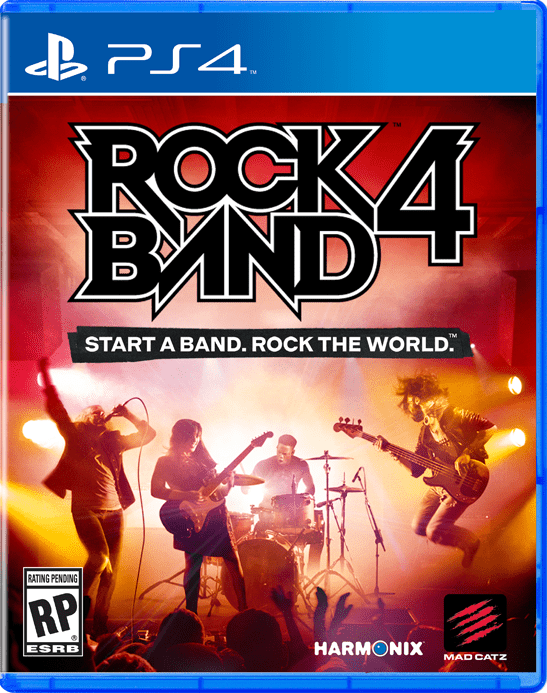 I love Rock Band and there really isn't anything wrong with Rock Band 4, yet there is nothing groundbreakingly new introduced to the series at this point in time, either.